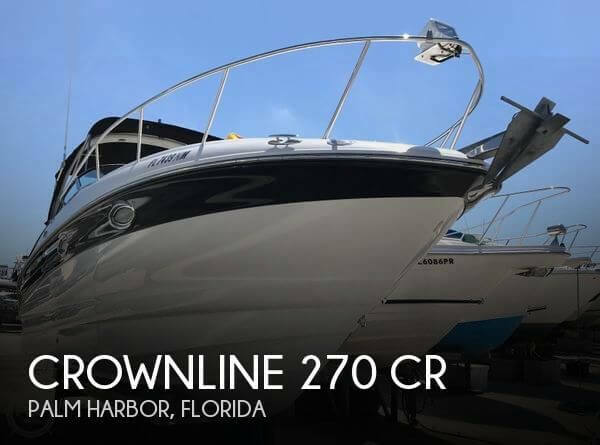 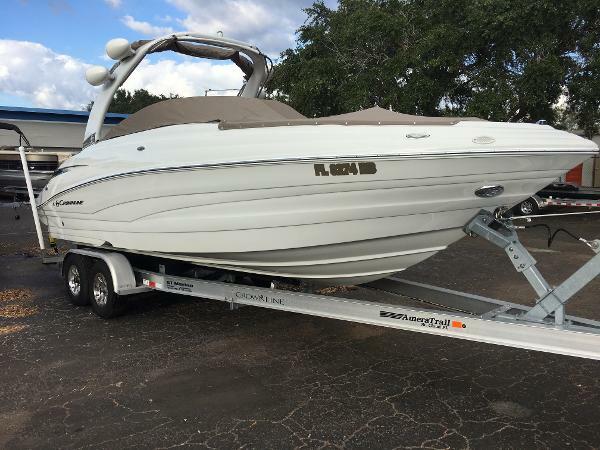 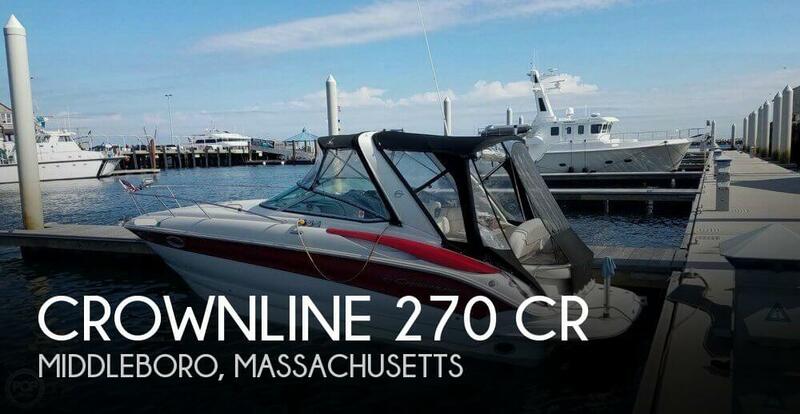 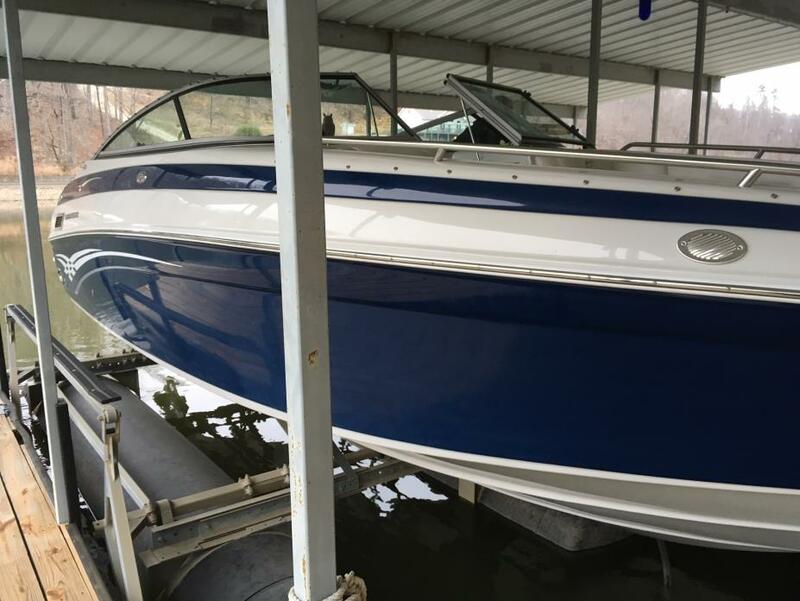 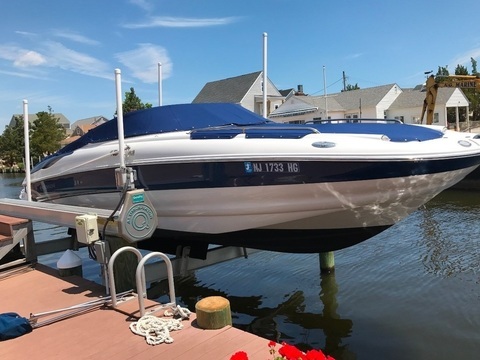 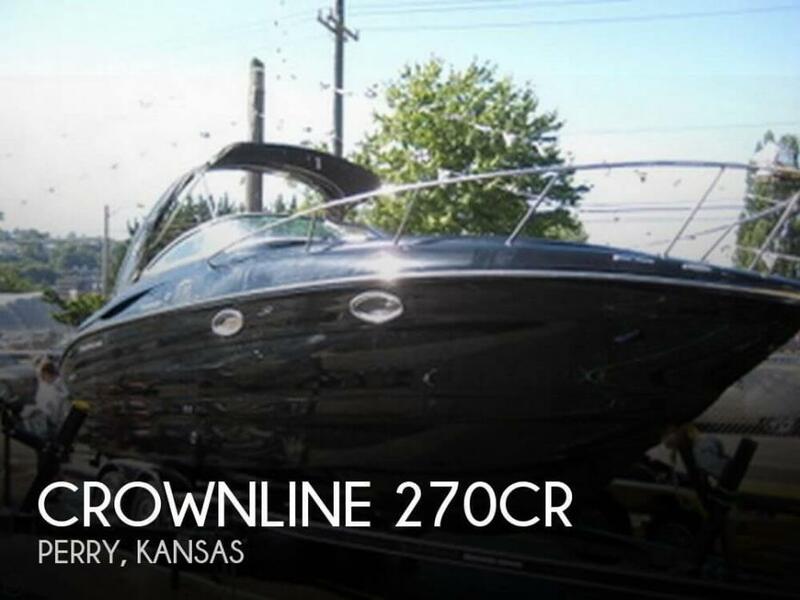 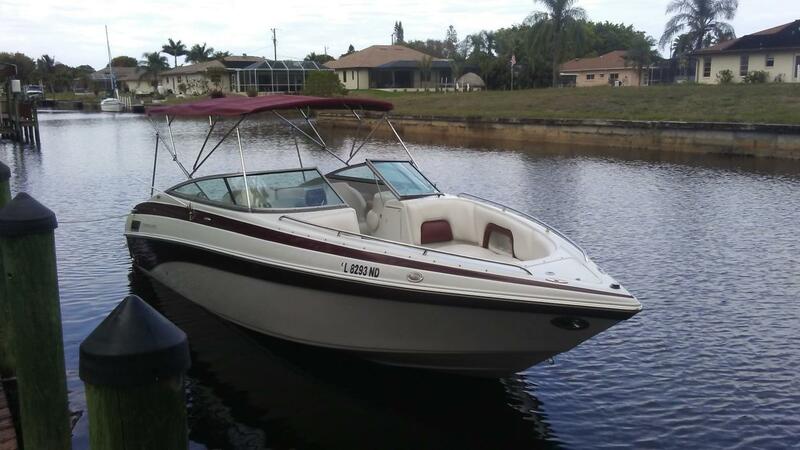 2003 Crownline 270, Nice 27' bow rider in very good condition with relatively low hours and big power with the Volvo 8.1 Dou Prop and Captains Call Exhaust . 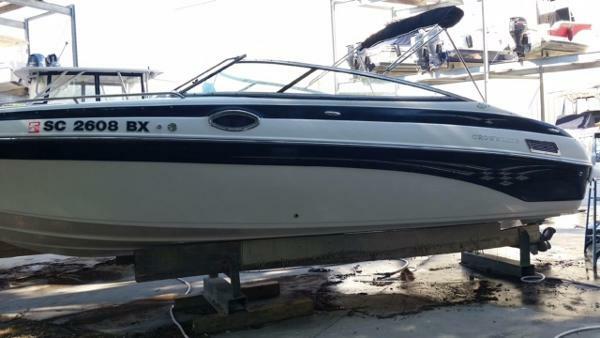 Call Mark at 573-348-3888 for questions or to see the boat. 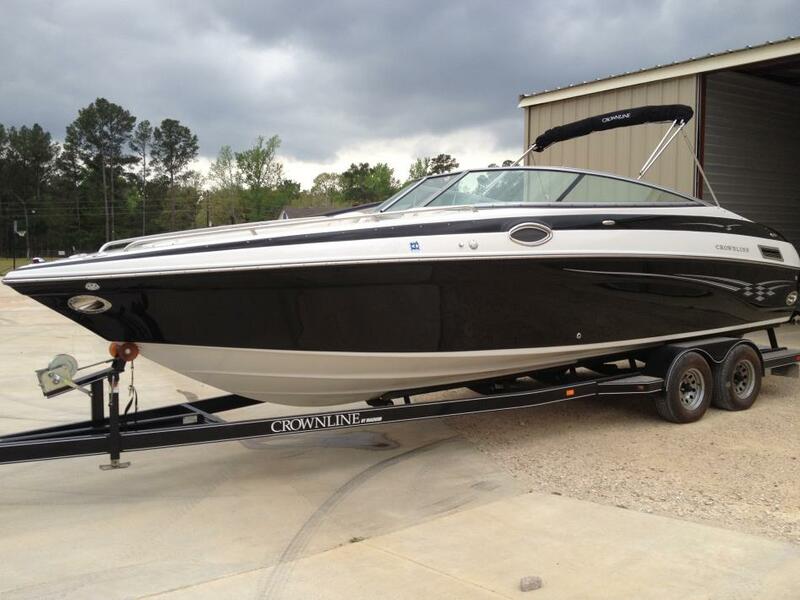 2016 Crownline 270SS The interior of the Crownline 275 SS was designed for comfort and convenience. 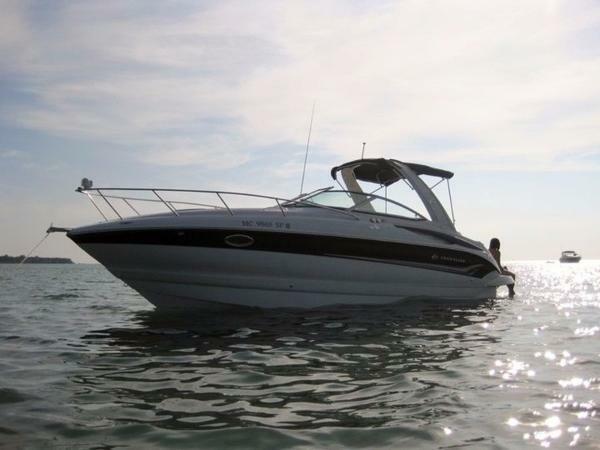 The conversation-friendly J-wrap cockpit seating features ergonomically designed seatbacks for optimum comfort. 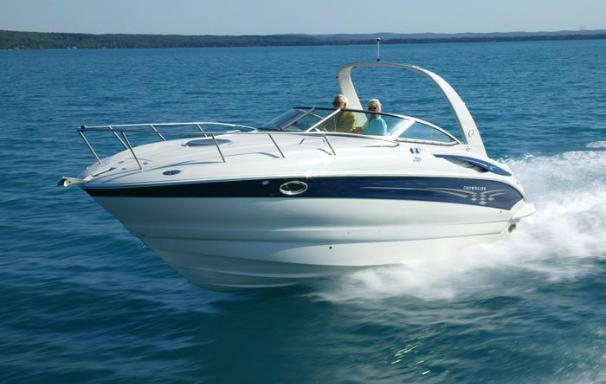 Theres additional seating for two located behind the driver bucket seat. 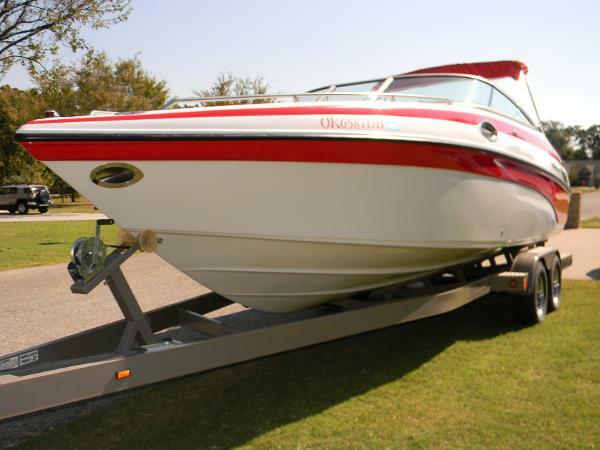 The hinged seat cushion provides easy access to the 25-quart cooler stored beneath. 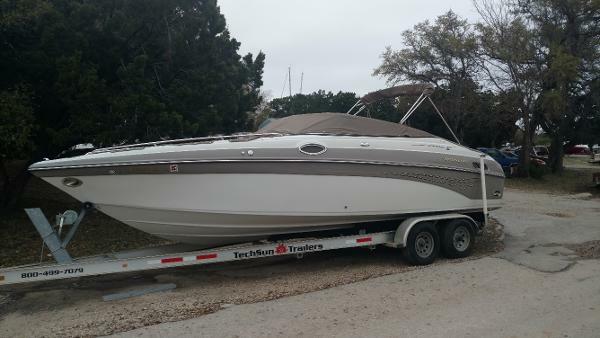 This seating area can be exchanged for an optional cockpit galley with a stainless steel sink and faucet, solid- surface top and finished storage area or cockpit refrigerator. 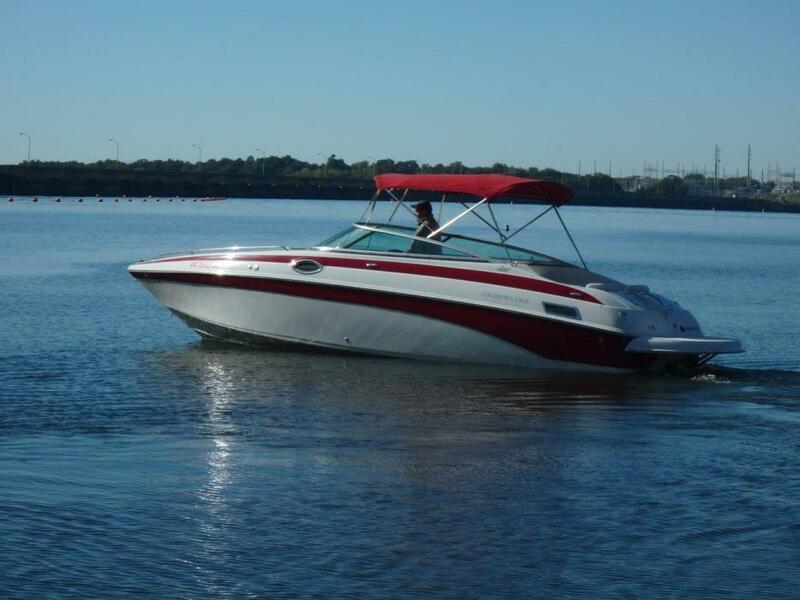 The passenger and driver have standard flip-up bolsters and are beautifully accented with a Crownline stainless steel logo on the seat backs. 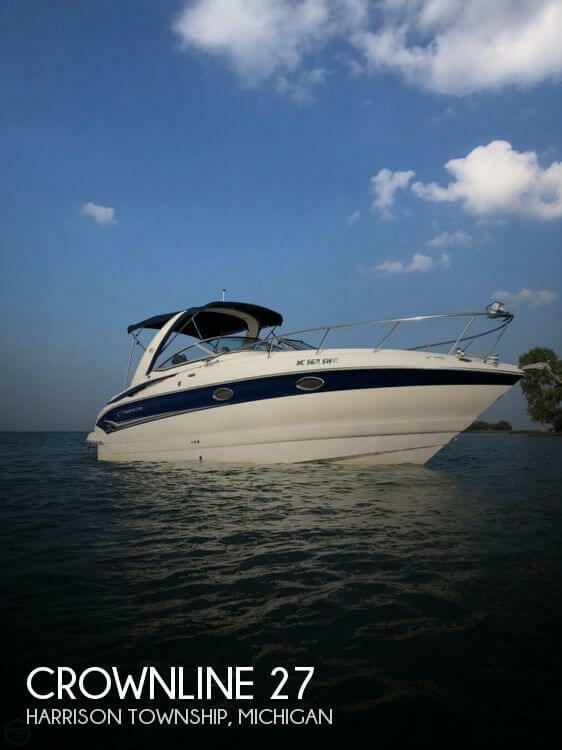 The beautifully appointed vinyl-wrapped helm has a moonrock steering wheel with polished spokes and features a standard Raymarine A65 touchscreen MFD with engine data display.